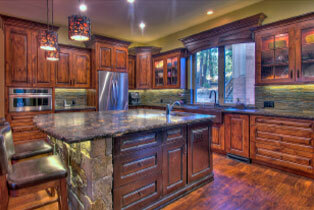 What are your qualifications as a custom home builder/remodeling contractor? There is a big difference between a licensed general contractor and a true professional home builder. While just about anybody who can swing a hammer and pass a test can get a contractor’s license, there are very few companies that have the training and experience required to truly call themselves professional home builders. These companies are easy to recognize once you know what to look for, because they’ll be members of industry groups like the National Association of the Remodeling Industry (NARI), and will have numerous examples of their work readily available for you to look at. They’ll also have experience building net zero homes (homes that are so energy efficient that the electric bill is almost nonexistent). Needless to say, ESI Builders meets and exceeds all of the qualifications we just mentioned. How can I make sure my custom home build or remodeling project stays on budget? At the risk of stating the obvious, the first thing you need to do to make sure your project stays on budget is to actually know your budget, and know what areas you are willing to make sacrifices in if necessary. For example, you may decide you are willing to sacrifice some quality on your paint finishes so that you can spend a little more on your plumbing finishes. Also, spending more time in the planning stage of your project in order to reduce or eliminate mid-project changes helps keep costs down. Finally, leaving a little bit of room in your budget to allow for unforeseen obstacles is a wise move that will help keep your project from going over budget. What if I go over my custom home construction loan budget? As much as we plan for every possible contingency, occasionally there are unforeseen circumstances that occur during a project as complicated as a custom home build. We strongly encourage our clients to leave a little bit of room in the budget in case this occurs, and usually this will be enough to cover any extra costs. However, in some cases the project costs will exceed the amount of the construction loan. When this occurs, any extra costs will come out of the client’s pocket. Do you carry all of the necessary insurance policies? At a minimum, a custom home builder should have general liability insurance and worker’s comp for all their employees. It’s important that you make sure any company you work with has these policies on file, and keeps them current (check expiration dates to make sure they aren’t going to expire in the middle of your project). What many homeowners don’t realize is that if a contractor does not have worker’s comp, and an employee gets injured while working on your home, then the homeowner’s insurance policy will be the one that has to cover the cost of the injury. ESI Builders has all of the necessary insurance coverage to make sure you are not liable for any accidents or injuries on your property. What is the contingency plan if something were to happen to you during my project? At ESI Builders, we have two owners, both of whom are capable of running the company in an emergency and we have written contingency plans for that situation. This is not the case with many small contractors — if some type of accident (job-related or otherwise) incapacitates the owner of the business, in many cases that means your custom home build or remodeling project would grind to a halt. Obviously this could be very problematic if you were counting on having a place to live by a specific date. What costs are included/excluded from the estimate you give me for the cost of my custom home? When comparing the cost of different custom home builders, it’s very important to make sure you are comparing apples to apples. You will often see a price quoted as a dollar amount per square foot, but that actually doesn’t mean much if you don’t know what is included in that price. Some contractors will not include things like permit costs or even the cost of the land a home is built on in their cost per square foot estimates. At ESI Builders, we are very transparent when it comes to costs. We provide you with a line item summary of all the costs involved in your custom home build, so that you know exactly where your money is going, and can accurately compare our costs to estimates you get from other companies (assuming they also provide line item costs, which many do not). What type of warranty do you offer on your custom homes? A custom home is a big investment, and given the number of complicated systems in a home, there’s always a possibility that something might need a little tweaking after the initial build is complete. That’s why ESI Builders offers a one year “fit and finish” warranty that covers just about everything in the home. If there are any issues at all, just call our office, and we will handle all the coordination necessary with any subcontractors (electricians, plumbers, etc.) to get your problem fixed. Beyond the first year, we offer a four-year warranty on home systems (electrical, HVAC, plumbing, etc.) and a 10-year warranty on the structure. We want you to have the peace of mind that comes from knowing you won’t have to worry about maintenance issues with your brand new luxury home.